/ Thinking about Joining Ripwire but have a few quests first. Hello ive been taking a interest in DR over the last month or so and is thinking of joining Ripwire on there fiIbre boradband service. However having read a few reviews on other forums and websites i have a few concerns and questions to make my mind up. At the moment im on adsl service with Zen Internet "very good isp" i currently get around 7 meg download. I live in dunscoft and is not that far from the local exhange there "few streets away". Having read a few peoples personal accounts on there expericence so far with ripwire im concerned about there customer service"if something goes wrong"it seems that quite a few people are having problems with disconnects and lack of customer service to get there problems solved. Also i play alot of online gaming and like to browse the web and use the torrents now and then. Another concern ive got is there any sort of traffic shaping with ripwire. "Zen dont use traffic shaping". Also Zen is a 1 month contact as with ripwire its a 18 month contact im converned if im having loads of problems im stuck in an 18 contact but with Zen its a 1 month contact and they have very good customer service. Hi Sean and welcome to our little corner of the world!. Zen is a very good ISP but in my opinion, the price is for the premium support they have. You will feel the difference from around a 7mb throughput to something like 24mb+ throughput. Its very rare you will hear of a positive experience of any company because people don't shout up on that front..They make a thing about it if its negative. Since the early days of RiPWiRE going live, things now appear to be on the up, well for me and some other people anyway. If you do have issues, they can be resolved just like any other support team. On the Digital Region backhaul there is no traffic shaping what so ever. You get everything at full throughput speed. This may change some point down the line, but then you would enter a new contract . Don't let the 18 month thing put you off. 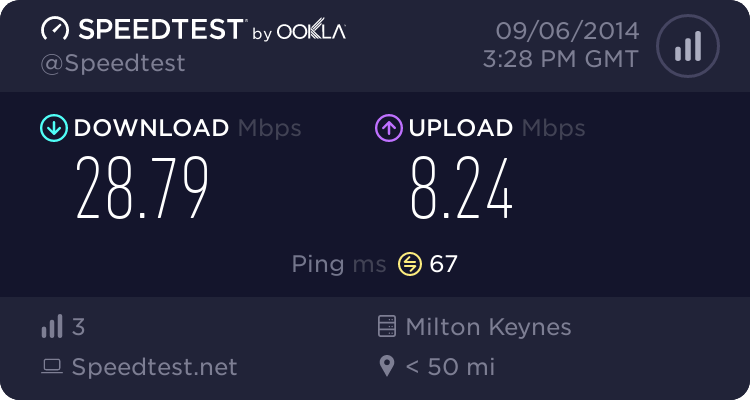 You will find this is a standard on any fibre product (Example, Plusnet, BT, Aquiss)..I took my offer up early and I'm on a 12 month, but i'm more than happy with everything at the moment. Take into consideration RiPWiRE is a very new company, especially in this game, so once they understand their product, customer service will improved. This has been earmarked and things are changing for the better. Hope the above helps. If you got any questions, give us a shout!. Thx for the reply SpencerUK. 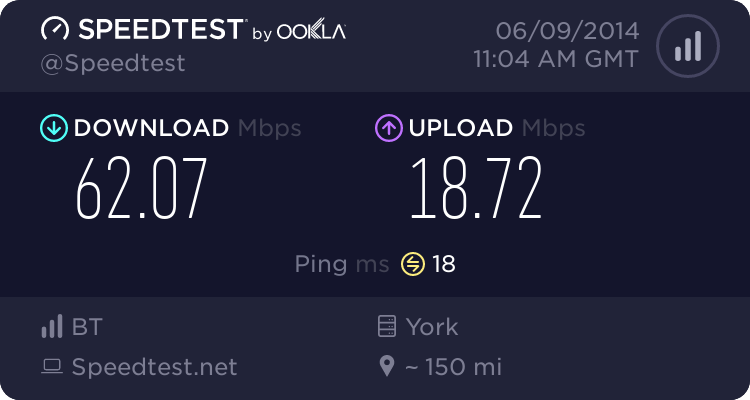 Just looking for a decent router now which is good for a wired connection for myself and decent speed for wifi for my wife laptop. Atm ive got a Draytak Vigor 2600 adsl router its old and needs to be replaced for fibre. I dont like wifi connection and allways keep a wired connection for my ping for online gaming. I picked up a Netgear WNR2000 V2 for about £20 new on eBay. Putting the right custom firmware on (Tomato) unlocks lots of features. Depends how much you really want to pay.